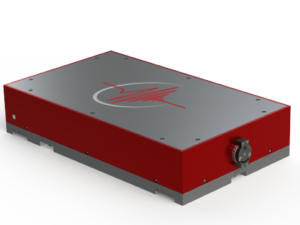 ALS-IR series is a range of high power, high brightness single frequency lasers employing MOPA technology in the infrared. 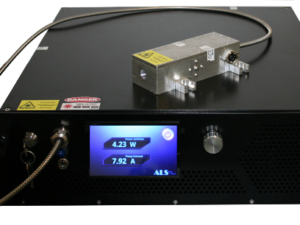 Based on patented technology and major advances in fiber and system design, ALS’s fully integrated laser platform offers diffraction limited output powers in excess of 50 W (depending on wavelength). 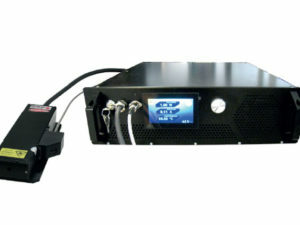 For their standard 50W devices they include in the coolerless laser head a high power IR isolator to prevent damage that may occur from an intense back reflection, reducing the available power, but they guarantee >45W. 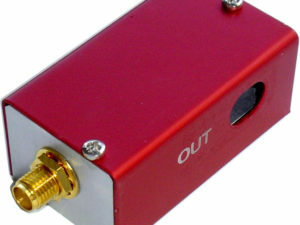 Laser heads or output fibres with collimated beams are available. 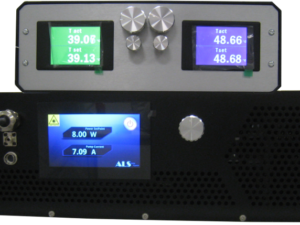 Power sharing over several output ports (2, 4, 8, 16…) is available as an option. (1) A stationary atom sees the laser neither red- nor blue-shifted and does not absorb the photon. (2) An atom moving away from the laser sees it red-shifted and does not absorb the photon. (3.1) An atom moving towards the laser sees it blue-shifted and absorbs the photon, slowing the atom. (3.2) The photon excites the atom, moving an electron to a higher quantum state. 3.3) The atom re-emits a photon. As its direction is random, there is no net change in momentum over many atoms. 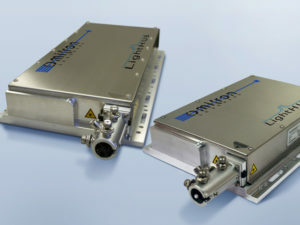 Azur Light Systems offers also preamplified tunable seeders (thermal & piezo locked) to seed multiple optical amplifiers to generate multiple mutually coherent laser beams. 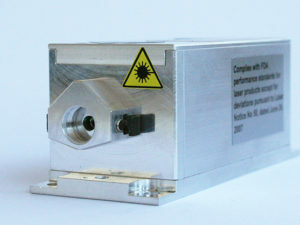 Atom trapping / Optical tweezing: The aim is to generate an optical trap for atoms. This trap will cool down the atoms but the central wavelength and the linewidth of the radiation don’t matter. Generally a wavelength anywhere in the infrared region is a good option (1064nm for instance). Low noise, power stability and pointing stability are the most important parameters to obtain the best results. 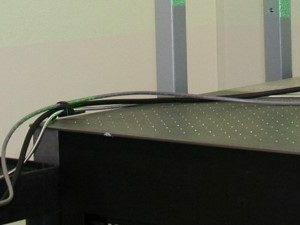 Quantum optics / Interferometry: High precision interferometry and fundamental quantum optics now enable the study of previously unobserved phenomena such as gravitational waves. 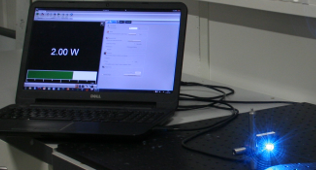 The observation of these effects is only possible with an ultra-stable low noise laser. 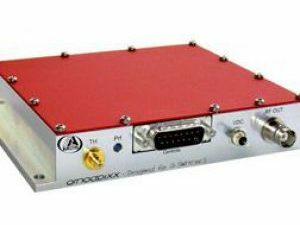 Parameters of interest are low noise level, spectral width and stability. Thanks to the MOPA configuration, it is possible to choose a particular wavelength or a tunable seeder to match the atom rays of interest. 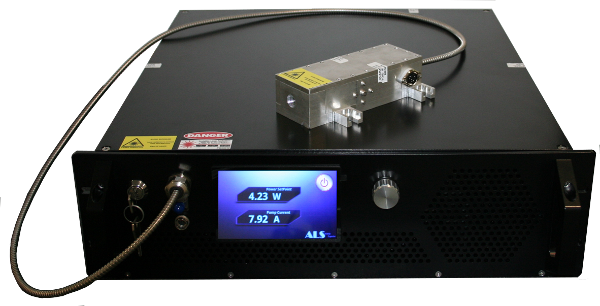 ALS-IR lasers benefit from one the best frequency stabilities on the market (< 50 MHz over 8h). 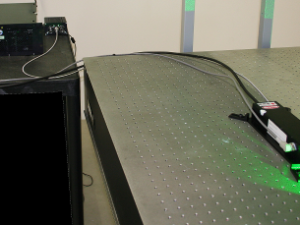 The fiber laser technology and the cooler-less laser head allows an excellent pointing and spatial mode stability. It also avoid any vibration of the experimental table which is essential. Power stability is also really important because a change in power will affect the efficiency of the atom trap. 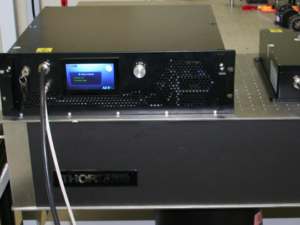 Noise level matter for atom cooling/trapping application as well as for interferometry application. 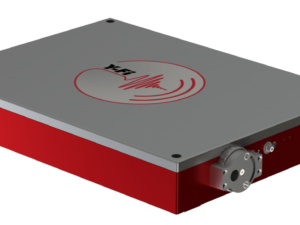 That is why most users choose our single frequency version to benefit of its ultra-low noise level even if they don’t always need a single frequency linewidth.